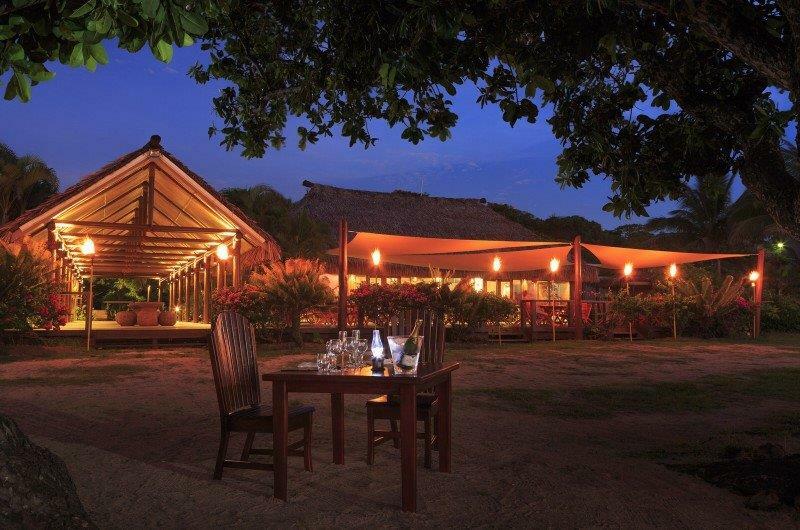 Yatule Resort and Spa is located at the iconic, postcard perfect Natadola Beach on Fiji’s main island of Viti Levu. Throughout Yatule Resort & Spa, modern tropical architecture blends with the natural environment, while sophisticated, contemporary interiors add rich contrast. The resort’s signature restaurant offers dining with exquisite views of Natadola Beach, coupled with cold drinks and amazing food. A perfect white sand beach, our glimmering pool, an array of water sports, a spa, and programs for children and families add to Yatule Resort Resort & Spa’s unforgettable experience. 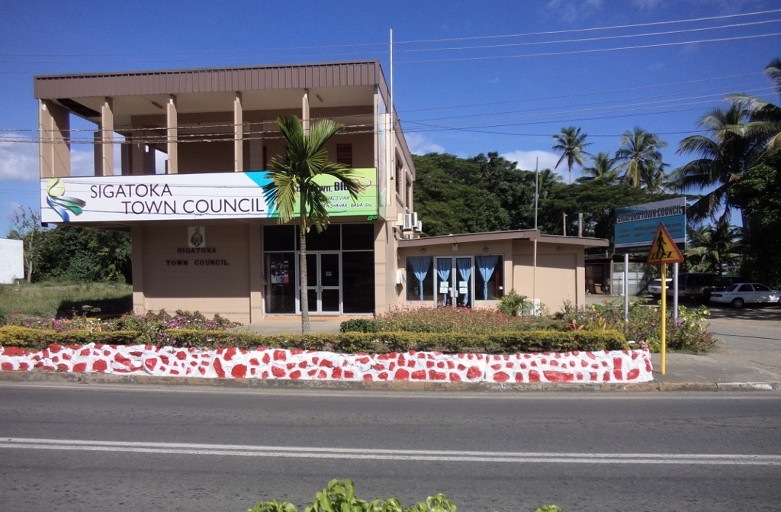 The Sigatoka Town Council was created by statute in 1959, to cater for health, welfare and convenience of residents of the place designated as the Sigatoka Town. Our mission is to promote the health, welfare and convenience of their inhabitants of the Sigatoka Town Council area and to preserve its amenities and credit. Sigatoka Town Council in Fiji clearly committed to developing its human resources for a better town tomorrow where freedom and tolerance breed peace and harmony permitting industry and commerce to proper for the benefit of all. The first and foremost thing among the Facts about Sigatoka is that this is a must-visited town in Fiji. This town is established on the beautiful island of Viti Levu. Sigatoka is located right at the bank of the Sigatoka River, from which this town has derived its name. You can find this Sigatoka town at 69 kilometers away from Nadi. You can find the Nadi International Airport in just 70 kilometers away. The town is chief commercial hub for the Coral Coast region including a population of more than 10,000 people. Sigatoka became the main town in the year 1959. Today, the Sigatoka Town Council of 37-members, who work for the council and administers it. Facts about Sigatoka has that there are various attractive places for traveling around during your travel to this Fiji’s developing town. The major tourist destinations include the sand dunes near Kulukulu village, Tavueni Hill Fort, Resorts, River Mouth, Villages up the valley, Travelers can also take a trip to Kula Bird Park, which holds more than 500 birds of 100 species from several tropical countries. Sigatoka has a popular market that is a perfect place to go for a trip for experiencing the traditions of local Fiji. The Saturday market remains tremendously eventful and bustling with several farmers who are fetch their manufactured goods from all across the Sigatoka river valley. Sigatoka has a small number of cheap hotels and restaurants. Culture is an essential part of Facts about Sigatoka. The Sigatoka Valley is rich comprising more than 200 cultural and archaeological places including the Tavuni Hill Fort, dating back to 18th century. 2015 marks 74 years of operations in Fiji for Tappoo Group. It commemorates a triumphant transition from the Group’s retail beginnings to a multi-interest business concern annexing wholesaling, manufacturing and expats to its strong retail infrastructure. The Tappoo Group of Companies traces its origins back to a single store. When founder, Tappoo Kanji, the father and grandfather to present directors, established his small goldsmith business, handcrafting small pieces of jewellery himself in Sigatoka in 1941, he had no idea that he was laying the foundations of a business that, within a generation, would be one of the largest in Fiji. By 1964, Tappoo had grown his business to an extent where he could venture boldly into Duty Free trading, a competitive segment which was becoming the hallmark of tourism in Fiji. In the same year, Tappoo’s eldest son, Kanti took over as Managing Director of the concern. The growing retail strength of the organisation paved the way for Tappoo to enter the domestic Wholesale distribution market. 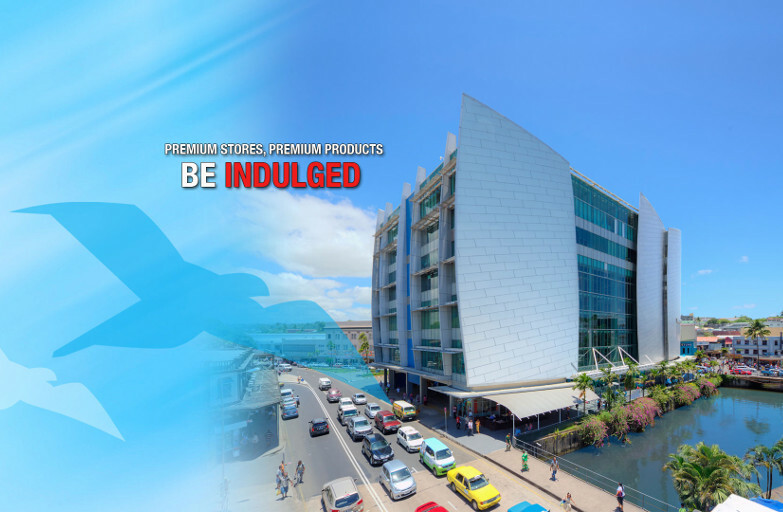 The perception of Tappoo as a retailer of only the finest, authentic products continues to pay dividends in establishing new products into the Fiji domestic market. 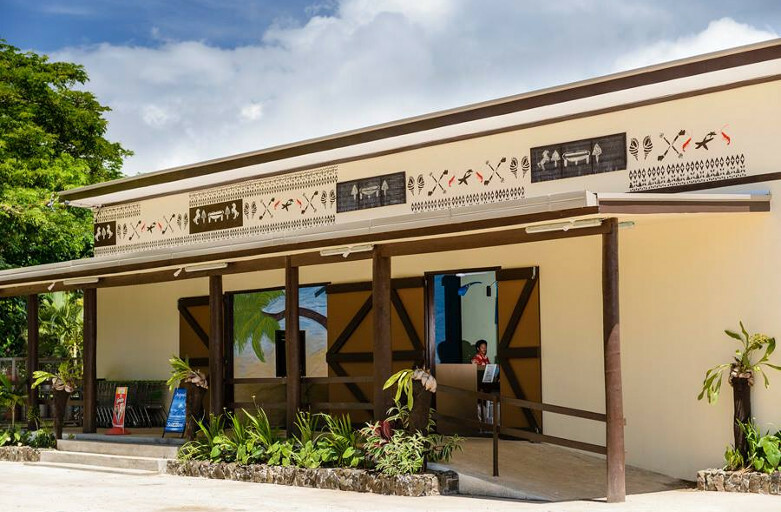 The only Free Hands-On Environmental Education Center for Fiji’s school children. 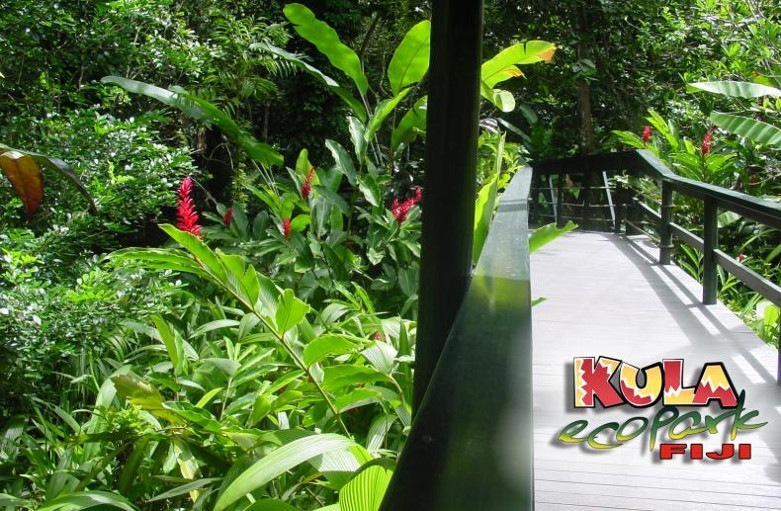 Kula Eco Park is a 28 acre property set in 3 valleys, with 12 acres open to visitors. Huge walk-through enclosures put the visitor inside the habitats of our resident parrots, doves, water birds & reptiles. Marine displays of Ocean turtles, soft coral and tropical fish provide a glimpse of the spectacular marine world that surrounds the 300+ Islands of Fiji. 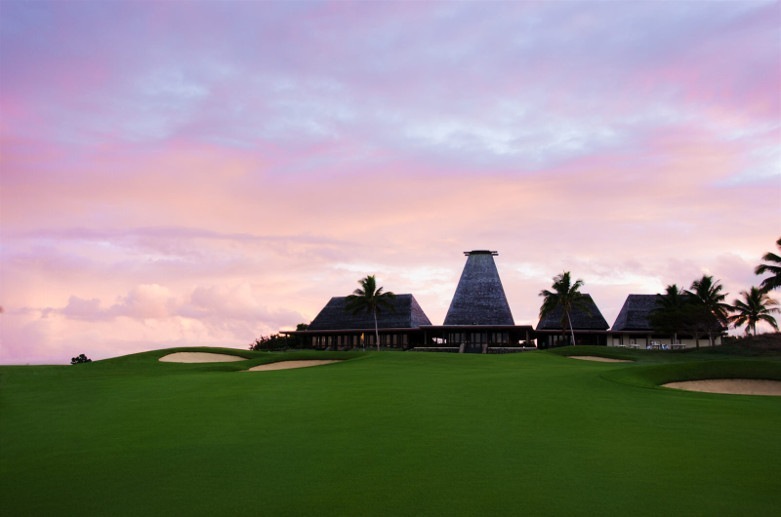 A championship golf course has arrived on the world renowned Natadola Beach on Fiji’s Coral Coast, Natadola Bay Championship Golf Course. Boasting a golf course to die for and facilities that rival the best, the golf course is open daily to players of all levels. A 24-HOUR service station and a reasonably priced supermarket in Maui Bay along the Coral Coast of Sigatoka is fast becoming a busy trading centre catering to about 8000 people. Also a popular pit stop for commuters along the Queens highway, the shopping area was established last year by Epic International co-owners Craig and Delamare Evette. Mr Evette said apart from offering a 24-hour fuel station for road users, it also boasts a grocery supermarket that offers all of the necessary amenities for the four neighbouring villages in the Korolevu-i-Wai district. Hot Glass artist and creator Alice Hill is an experienced professional glassblower, who trained and worked in the glass blowing industry in the UK for many years. When she met her husband to be, Alex, in the mid nineties he fecklessly sidetracked her off on a 15 year scuba diving adventure that included stints in Egypt, New Zealand, Fiji, the UK (yes, it was bloody cold) and the Horn of Africa before, realizing that Fiji was probably the best place in the entire world to bring up young kids, they headed back to the South Pacific in 2003 and established and ran a successful dive center on the Coral Coast. Throughout this time, Alice would get out of the water and back in the glassblowing studio whenever she could, create new pieces and hold small exhibitions. 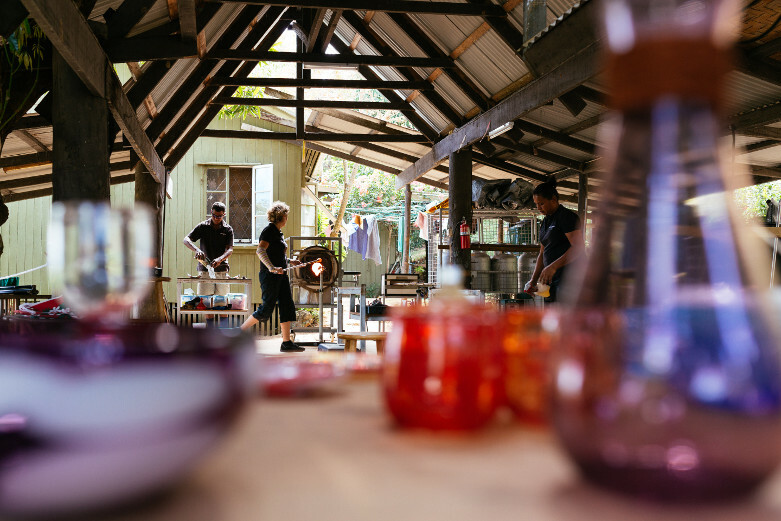 The stunning colors of the Fiji Islands, the blues of sea and sky, the changing sparkling turquoises of the waters in sandy lagoons, the lush tropical greenery, the vivid colors of fish, birds and flowers and the stunning beauty of the sunsets inspired her work, and it became Alice’s dream to found Fiji’s first Glassblowing studio. Hot Glass Fiji is the culmination of that dream. Glass is the ideal medium to catch the stunning light and colors of the tropics, and so of course the beauty of Fiji’s nature is often reflected in her work. At the same time Fiji’s tradition and culture also feature strongly – local maqimaqi ropes, used for many purposes in Fiji, though perhaps most often seen woven around wooden beams and posts in traditional bures; tapa designs, coconut bark are not only inspirational but also become a part of the work. Nestled within 38 acres of vibrant, tropical gardens and fronting bronzed-sand beach. 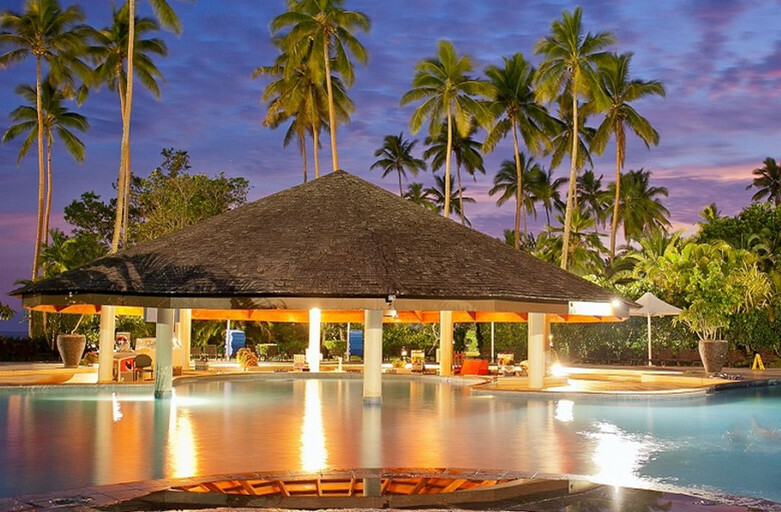 This beachside deluxe resort on Fiji’s Coral Coast delights guests staying for work or play. Enjoy the swim-up Pool Bar where mouth-watering cocktails satisfy tropical thirsts. 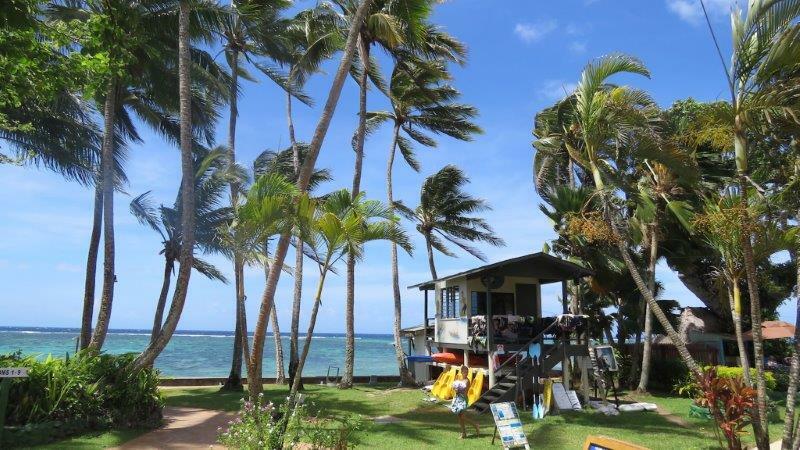 Let The Naviti Resort’s accommodations enchant and inspire you while overlooking the captivating South Pacific. Step inside any one of our 220 luxury resort villas, suites and hotel rooms to experience a haven of stylish design and sophisticated comforts in true Fijian style. Our resort lodging is all newly refurbished, offering a delightful range of accommodation options that range from charming garden view hotel rooms to our exclusive ocean front villas. Each offering features contemporary Fijian décor and all of our hotel rooms and luxury villas are fully air-conditioned for your comfort. Take advantage of our scenic Fiji location with private furnished balconies and patios, from which you can take in the picturesque views of the Pacific Ocean or the tropical landscaped gardens. Perfectly positioned along a stretch of golden sand beach and crystal clear lagoons in the heart of Fiji’s Coral Coast, Warwick Fiji is the perfect place to escape the daily woes of life and immerse in tropical bliss with the world’s friendliest people. 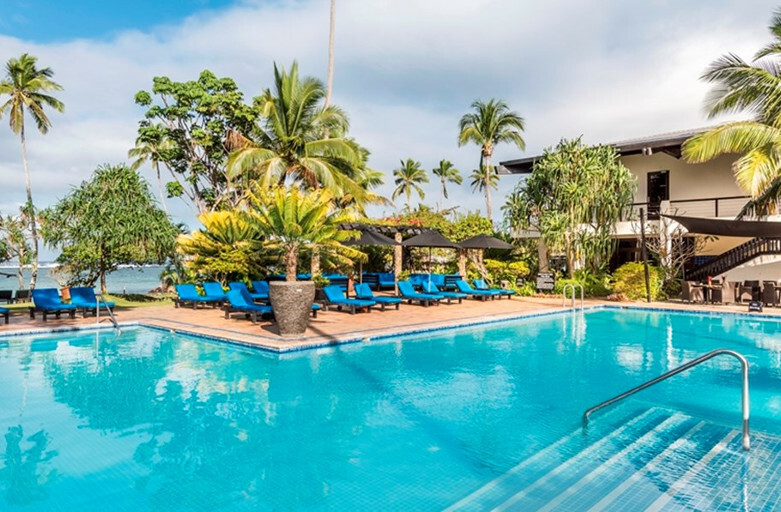 The Warwick Fiji hotel & resort is far enough from the daily hustle and bustle and close enough to still keep in touch. What memories will guests take home from their visit? Perhaps it will be the memory of the most extraordinary tennis game of their life or tying the knot with their soul mate against a spectacular setting sun. Maybe it will be the time spent with family enjoying the many marvels of Warwick Fiji, or perhaps our guest will have hosted a business meeting so epic that it earns rave reviews. Deeply entwined with the beauty and hospitality of the Coral Coast, Warwick Fiji welcomes guests to come make a little history of their own. Stretching over 28 lushly landscaped acres, our elegantly crafted luxury resort provides a rich palette of experiences to suit every occasion-whether business, romance, relaxation or carefree family fun. From dawn’s first blush to the tangerine streaks of our Coral Coast sunsets, each day at Warwick is awash in endless possibilities.